Today, the New Jersey Outdoor Alliance, Safari Club International and Sportsmen’s Alliance Foundation filed a legal challenge to New Jersey’s ill-advised closure of state lands to the upcoming black bear hunt. that the state violated other substantive and procedural laws and requirements in banning black bear hunting on state-managed lands, including by failing to take public comment or consider scientific evidence. NJOA, SCI and the Sportsmen’s Alliance Foundation filed the lawsuit in New Jersey state court. As part of this effort, the organizations are interested in hearing from New Jersey hunters (both residents and nonresidents) who had plans to hunt black bears on public lands this fall. If you are a member of one of the three organizations and have been affected by the closure, please contact that organization using the email addresses provided below. About the Sportsmen’s Alliance: The Sportsmen’s Alliance protects and defends America’s wildlife conservation programs and the pursuits – hunting, fishing and trapping – that generate the money to pay for them. The Sportsmen’s Alliance was specifically created to protect the outdoor heritage from animal-rights activists and organizations seeking to end those pursuits and undermine the nation’s conservation model. The Alliance partners with other organizations, such as SCI and NJOA, to provide a unified and formidable legal front, and has done so in New Jersey for bears many times, as well as in all 50 states, the courts and at the ballot box. 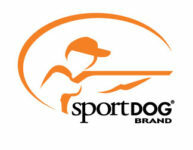 To join the Alliance click here, or to donate to the Sportsmen’s Legal Defense Fund click here. For media inquiries, contact Brian Lynn at blynn@sportsmensalliance.org. For members wishing to comment on how the closure of state lands to bear hunters impacts them, please email info@sportsmensalliance.org. About SCI: Safari Club International represents 50,000 members and all hunters in the fight to protect hunting opportunities and access. SCI’s mission is to protect the freedom to hunt and to promote wildlife conservation worldwide. SCI has gone to court many times over the past fifteen years to advocate for New Jersey’s management of bears through regulated hunting. To become a member of SCI or make a financial donation to help SCI’s litigation efforts, please visit, https://www.safariclub.org/. SCI members wishing to provide information to SCI lawyers about how the public lands closure affects their ability to hunt should contact Jeremy Clare at jclare@safariclub.org. Follow the Sportsmen’s Alliance: Stay connected to Sportsmen’s Alliance: Online, Facebook, Twitter and Instagram.